after a chat with my best friend about what it may be. I looked at Ali’s post and then read the comments her readers had left. And there it was … nourish. in any way; to allow to grow; to bring up; to cherish. Do you have a word for the coming year? What a great choice. It can be interpreted in so many aspects of your life. I don't do One Little Word, but I love seeing the words that others choose. I smiled when I saw this, Ruth, because nothing came to me in December about a word for 2017. Then when I woke up on the first of January, it was right there in my head. Within half-an-hour, I had enrolled in Ali's class – with Nourish :). looking forward to journeying alongside you this year. A perfect word for you (& family). I have not had any particular word come to me. Great word! I chose ACTIVE for this year. First off I want to thank you for your comment on my blog today! It is fun to share my excitement with my blog friends and I am happy to get to work along Sian for the first time 🙂 Second, your OLW is very positive and I like it… I don't do much with mine but I picked “Practice” for this year, as in practice kindness, practice gratitude, practice giving, practice self-care, well you get the idea! New Year Greetings from Stockholm! I have chosen 'Thrive' this year as a way to remind myself to grow and thrive in all my roles: teacher, woman, wife, mother at the same time as I try to help my students and family thrive. I also just want to thank you for many interesting blog updates over the years. 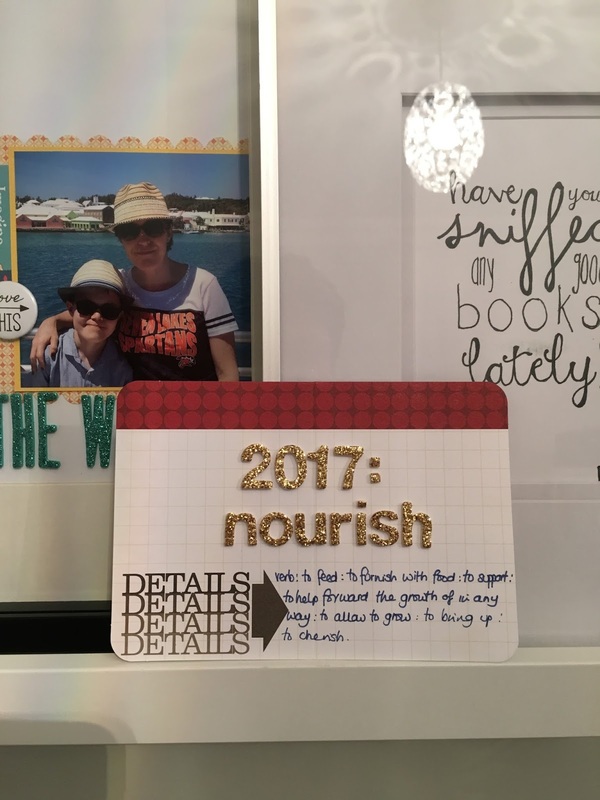 I started reading your blog quite a while ago through your December Daily project, which you had uploaded onto Ali Edwards' site. It too is one of my scrapbooking favorite projects of the year.